There’s a quote that does the rounds in endurance sports ‘pain is inevitable, suffering is optional‘. I would argue that suffering (successfully) is an essential part of our sport, which is, if we’re honest, a slightly perverse one. Many of you whom have run 100kms or 100 miles will know what I’m talking about. We experience such a range of emotions on the journey of a race or run, literally going from one extreme to the other. There are times of sheer elation and joy like no other you will have known – ultimate happiness as one might call it. But then there are times of ultimate despair and suffering. It can feel as though your world is caving in. We’re not talking extreme hardship that you might see in some of the desperate situations in some parts of the world, let us get some perspective here, but more, so a mental suffering at a time when the brain is hugely impaired by the situation of a race. I still remember vividly my first attempt at the GNW 100 miler and going off course quite significantly. The mental pain and suffering I’d felt was like no other I’d every come across before. Suddenly, everything about the race had become impeccably hard and over-bearing. I used to dread the sense of suffering that would hit in an ultra, both mentally and physically. I couldn’t understand at the time, expressions from some of my ultra running friends as to why they would enjoy a ‘good suffer fest’. It seemed masochistic and pointless, but I was ignorant and under prepared. When it comes to suffering in ultra running, I reckon it’s easier to do it in a place like this than around a track. I’ve since learned how good it is to suffer and to understand your place in the world. I know that with suffering can come immense happiness. This juxtaposition of suffering and happiness is also well-known with Buddhist circles, which is why it’s not uncommon to find the odd Buddhist here and there in ultra running circles. Buddhism has a lot to offer on the subject of happiness, the first couple of verses of the Dhammapada, talk about suffering and happiness. Buddha’s contemporaries described him as “ever-smiling” and portrayals of Buddha appear to almost always depict him with a smile on his face. But rather than the smile of a self-satisfied, materially rich or celebrated man, Buddha’s smile comes from a deep composure from within. It’s the ability to be able to suffer successfully, that is what I feel, sets great ultra runners apart from merely good ones. Talent and training are necessary ingredients for sure, but what sets people apart, particularly in the larger ultras is how well you can master the art of suffering successfully. I’m sure we’ve all watched in marvel at some of the leading runners in the world, those that make winning a race look so easy. It is anything but easy. Those guys and girls at the pointy end are probably suffering the most in a race. One of the ingredients for their success is that they’ve learned how to handle that suffering. They know just how hard they can push their bodies, detracting their minds from what is occurring to them physically. They understand how to suffer successfully. But there is an art in how to suffer successfully. Life is not sugar-coated and full of high fives. During our time on this earth, just as in an ultramarathon, we are overwhelmed with a plethora of barriers and afflictions that can appear insurmountable. In an ultra that could translate to stomach issues or in my example above, getting obscenely lost. Either way, running and ultra is all about suffering in some way. But in the midst of this hardship, we can either succumb to the despair of the challenges ahead, or embrace those challenges and learn how to suffer successfully. To suffer successfully, suffering, rather than being portrayed as unwanted or negative, should be positioned as highly essential in enabling us to learn things we would otherwise not know anything of. Without suffering, there is no happiness. The same rings true in ultras, taking us back to the very first paragraph of this article. To experience true happiness in our ultra running world, we must at first understand how to suffer and suffer successfully. Rather than drowning in the depths of despair, those who understand how to suffer create new ways of thinking about the opportunity that exists. They adopt a new perspective through which to perceive and learn from the inevitable sufferings they feel in a race. Instead of lamenting endlessly over things they have no capacity to change, good sufferers view suffering as offerings of wisdom, waiting to be put to good use. Let me give you an example. I’ve often admired the 24/48hr track runners. I think of all the ultra running racing that goes on, and these guys and girls have a special kind of quality – you’ve guessed it – They know how to suffer better than anyone else. My mind immediately turns to someone like Martin Fryer, quite possibly our finest exponent of track ultra racing. I recall his run at the Surges 48hr event a few years ago when he clocked 433kms in that time. He won the race and the distance he recorded is quite simply astounding. But the piece of the puzzle that really impressed me the most was that he ran the last hour of that 48hrs at around 11kms per hour. I used to think about how much he was suffering in that last hour, when everyone else around him was walking and the race was pretty much won, he decided (I assume), to suffer some more. Maintaining that mental focus around a 400m track for that period of time requires you to place yourself into a world of immense suffering. Those guys and girls really do love what they do to suffer that long. The immense happiness that awaits on the other side is so compelling. So next time you feel inhibited by the suffering you’re about to feel in a race or on your next training run, try to think about how you can suffer successfully. It could ultimately make a huge difference to not only your performance, but the resulting happiness you feel from that period of suffering. 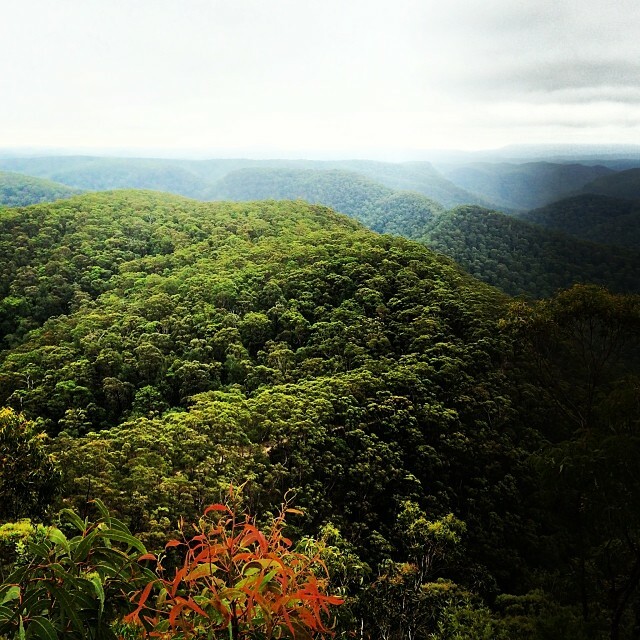 What’s the 32km runnable trail you do in the Blue Mountains? Would be keen to give it a try. I’ve done some trails there but often come across stairs when it comes to big climbs (Furbers, Golden and Giant Stairways). Thanks for the info, i really appreciate your reply. I’ll look it up and give it a try.